LANDSCAPES THAT CHANGE MORE THAN YOUR YARD. THEY CHANGE YOUR LIFE. 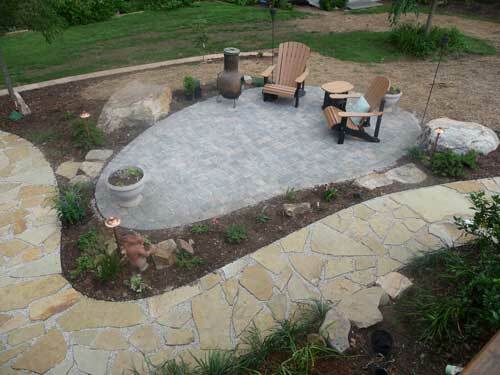 Patios, walls, and walkways are important hardscape aspects in our landscapes. They bring our clients into their outdoor spaces, providing flow, aesthetics, and a medium for a variety of activities. 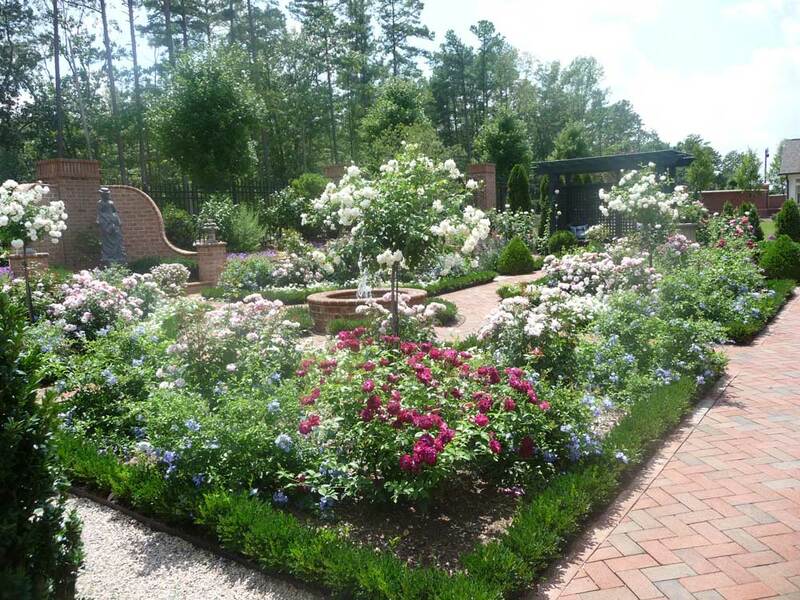 It is easy to make a landscape more formal or relaxed through material selection and application. Curves versus straight lines and cut stone in dyed mortar versus natural stone surrounded by groundcover are two examples. Walls constructed from mortared brick or stone versus treated wood or old timbers is another example. 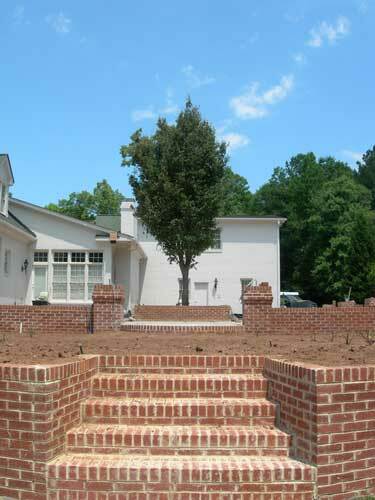 Many different techniques of installation allow walls to be installed in brick, wood, and concrete. Some walls need to be engineered because of load responsibilities. Others might create a seat wall while providing optimal elevation placement for the new space. We install masonry walls with footings, rebar, block, that have dyed parge coatings, brick or natural stone and cultured stone veneers. Interlocking concrete walls have evolved to become a cost efficient, visually pleasing option. 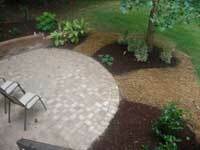 Most interlocking wall systems have a complimenting paver system, some with inlays and circle patterns. This supports a texture and color scheme through the vertical and horizontal hardscaping. Ergonomic aspects like proper height on walls for seating or proper width on walks to allow side by side walking are considerations. Selecting the correct material for specific areas in the garden is vital. 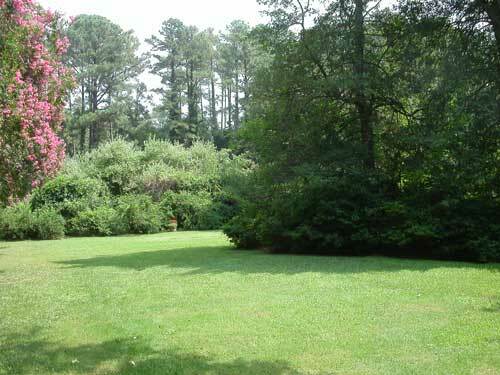 Some materials don’t perform as well in shade or moister settings, growing moss and becoming slippery. A slightly elevated wood walkway can turn a troublesome low or boggy garden spot into a pleasant-to-pass-through, viewed garden. The proper selection and installation of walls, patios and walkways will insure years of trouble free satisfaction and enjoyment.